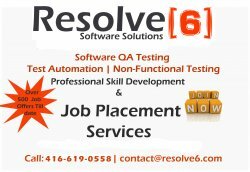 Get trained and placed in Quality assurance and software testing. 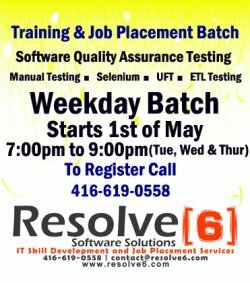 Learn Manual Testing, Selenium, UFT and ETL testing to get placed. We have over 18 years of experience in training and job placements. New Weekday batch starts on the 1st of May, from 7pm to 9pm (Tues, Wed and Thursday) and Weekend Batch starts on the 12th of May, from 10am to 1pm. 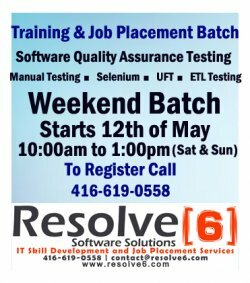 Call us now at 416-619-0558 to register.